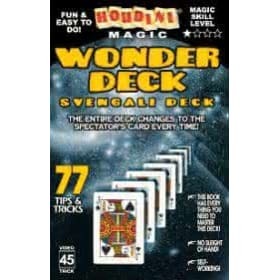 The Gamblers Marked Deck is a stripped deck, a stacked or prearranged setup deck, a marked deck, a one-way deck with a bicycle back. 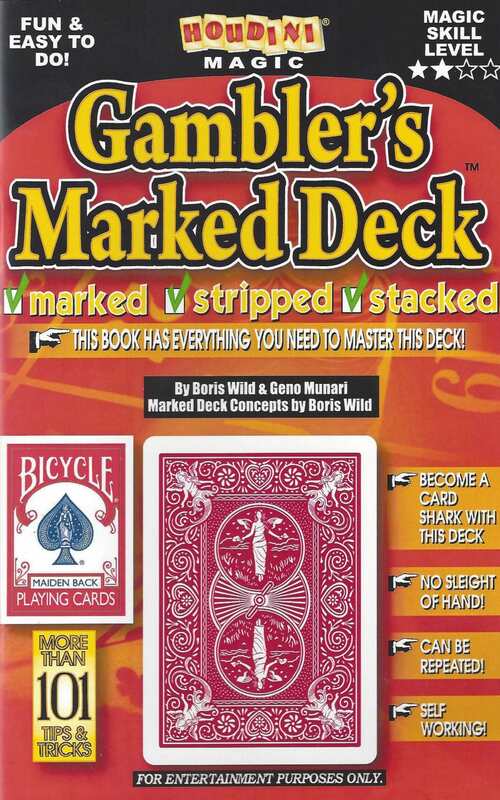 The principles of the Gambler's Marked Deck are easy to use, even for the amateur who has never handled a pack of cards before. Each deck comes in the stacked order and has eight main features, The cards are stripped, stacked, a box reminder, a joker reminder, a bar code prediction, marked six ways, instructional card for the marking system and a card locator table. Following the basic features there is a glossary and explanation of card handling terms and how to do them, and then specially selected card effects using the various principals. FInd any Card Instantly: SPectator selects a card from the pack, notes it and replaces it in the pack. The spectator shuffles the cards and returns them to the magician. 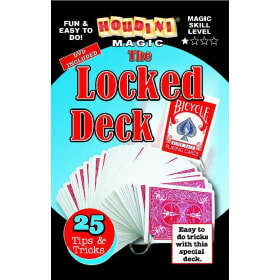 The magician almost instantly reveals the selected card. Find the Four Aces The cards are shuffled by the spectator. 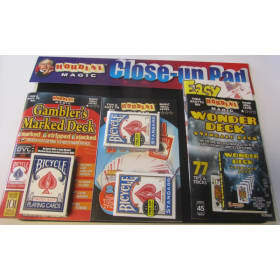 The magician finds the four aces either singularly or all four at the same time. How many cards? 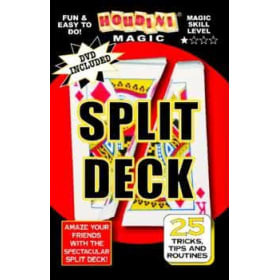 : The spectator cuts a portion of the deck off the table. he magician weighs the cards in his hand and can tell exactly the amount of cards the spectator cut. Locate Any Card's Position: The spectator can name any card in the deck. 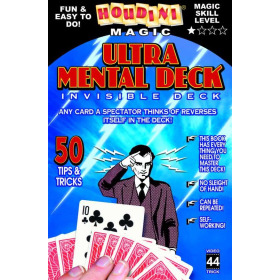 The magician is able to reveal the exact position of the card. He counts from the top to the number named. The card is there. 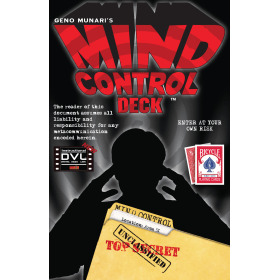 Instant Mind Reading: The spectator selects a group of 8 to 10 cards, shuffles them and concentrates on them. One by one the magician reveals the value and suit of each card. There are hundreds of effects possible and easy to do!